Montebello condos for sale are all located within a short walking distance of of Miromar Lakes tennis courts, beach club and the beautiful white sandy beach. Located in Costa del Lago, homes available in Montebello are luxury coach homes in ten 2 story buildings built by Bateman & Martin Developments, a leading coach home builder in Southwest Florida. The perfect resort style luxury accommodations of the Montebello area offer a perfect location for those who enjoy the beautiful beach life of the Miromar Lakes Community. Available home plans in the Montebello area include Arco and Vista del Lago. Each of the options available to those buying a home in Montebello, offer plenty of space and dozens of features that set it apart from other properties in a similar price range. The Arco style offers over 2,700 square feet of living space. This first floor coach home offers two bedrooms and den or optional third bedroom. In addition, the Arco style offers 3 baths and the most stunning feature, a grand room with a 12 foot trayed ceiling and built in cabinets for your convenience. 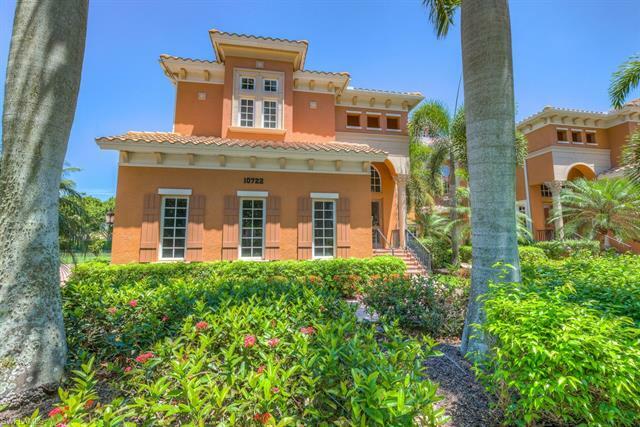 Also included in the list of wonderful luxury features are a lanai, separate entry and garage. Otherwise known as the loft option, Vista del Lago is a second floor coach home in the Montebello neighborhood. Quite similar in layout to the Arco, the most prominent feature of the Vista del Lago is its size. Offering over 3,600 square feet, this two-floor luxury waterfront home includes many “extra” features to enhance your life. Included are two bedrooms with an option of a third bedroom or den as well as 3 baths, and the option of converting the bonus room into two rooms with an additional bedroom or den and loft/office. Other fine features include the optional private elevator available only in the Vista del Lago as well as the lanai and attached two car garage. Either of these options are a wonderful choice for your next home in Montebello, where convenience and comfort meet high class luxury. If you like the Miromar area, you’ll want to see Montebello condos for sale, along with those in other premier neighborhoods. Call me at 239-898-6865 or send an email. As a specialist in the Miromar area, I have all the information you need to decide which neighborhood is best for you.